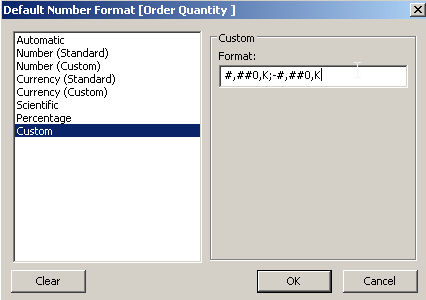 Number formatting in Tableau works pretty neat, but it took some time before I found out that it is both possible to 1) set the default format for a number and 2) specify a sheet specific number format. Click the "Fields" button and select the measure that needs formatting. 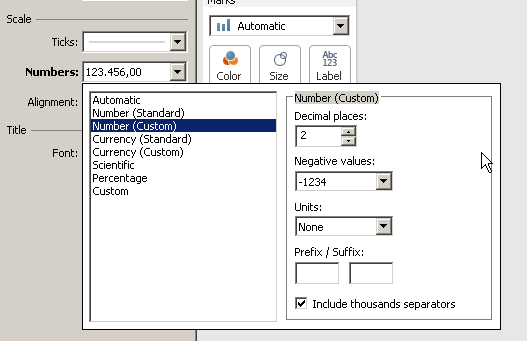 Right click on a dimension and chose "Default Properties" and "Number format"
I like to show the numbers with units (eg. in thousands) but instead of letting a K follow each number I would like to state in the title how the units are set and remove the unit. 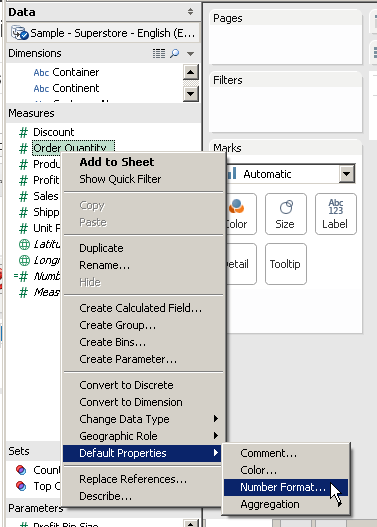 Also here I can leverage on Tableau's number formatting. 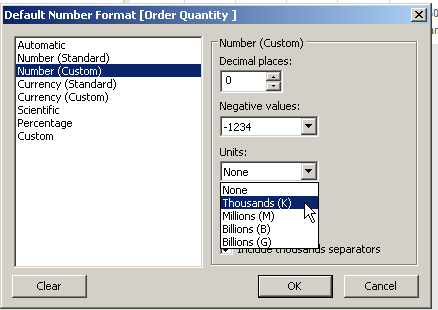 To remove the K's from the previous section I will choose "Custom" right after I set the units to "Thousands (K)". Then the Custom format will reflect the format just created. To remove the K's I will just remove them the two times they are present (one for the positive numbers and one for the negative numbers).